CloneBD will also convert your Blu-ray discs to all popular file formats, such as .mp4, .mkv, .avi, and any devices like Android, iPhone/iPad, Smart TV, or any other current device. CloneBD supports all regions (A,B,C). There is no need to install a third party driver, since internal UDF 2.50 parser is already included. 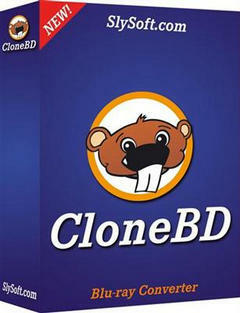 CloneBD supports multi-core CPUs and NVIDIA CUDA hardware acceleration for fastest copy speed. 3D Blu-ray and H.265/HEVC is not supported yet, but will be available soon. Please note that commercial Blu-rays might also require AnyDVD HD. Size: 21,98 / 34,61 MB.